Get M.EAT delivered to your door. We believe in the nurturing of animals in their natural environment where Mother Nature guarantees a 100% certified organic product.  M.EAT is driven by old-world practices and is dedicated to bringing the highest quality beef and provisions to its customers. From field to table, our meats come from the leading producers of beef and lamb including; Uruguay, Argentina, New Zealand, and Australia, ultimately ending up in the hands of our butchers who hand-cut the meat to order. Our butcher shop pays homage to an era gone by where old school values and superior products are wrapped in hospitality.